Take a trek across time and space throughout October 15th-21st. 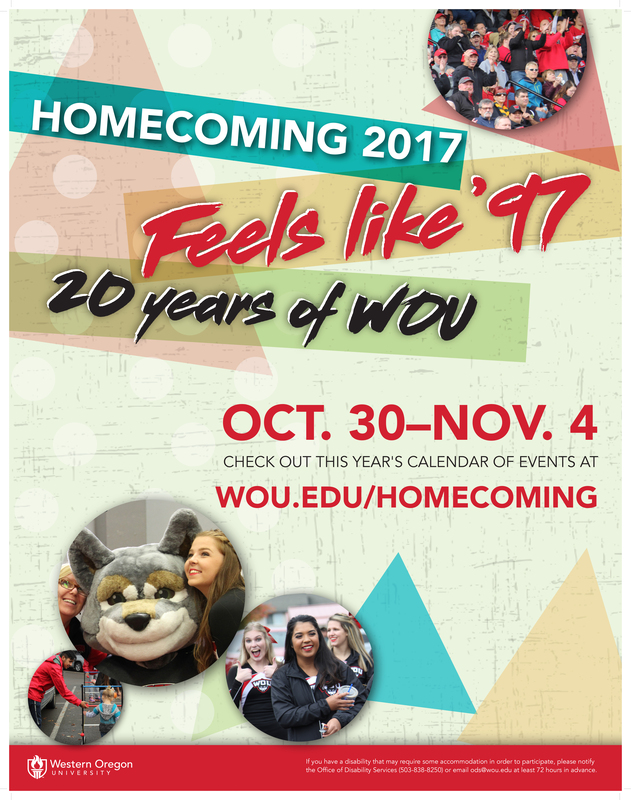 Western Oregon Universities Homecoming is for all Students and Alumni, and together we are wolves! Homecoming is full of campus traditions and fun events. Whether you are a department, organization, club, or student, this is the perfect week to show what it means to be a Wolf! Check out all the *events and opportunities to get involved with during this week.